The Simplicity crib transitions through every stage of a child's growth from toddler stages to a full-size bed. Although Simplicity is no longer in business, the various transitional cribs are still available from some retailers and private sales. If your child is ready for a standard bed, purchase a bed-rail conversion kit from an after-market retailer to put your little one in a big kid bed. Remove the bolts from the front side rail’s ends with an Allen wrench. There are two nuts on each end at the side rail’s top and bottom. Put the rail in an accessible location. Remove the mattress and mattress support. Set these aside because you do not need them for reassembly. The mattress support lifts out of the tabs without any tools. Remove the bolts securing the rear side rail with the Allen wrench. Set the two smaller rails, the head and foot rails, aside. Attach the rails from the conversion kit to the bottom of the front and rear side panels in the slots provided on the bottom of the rails. Tighten the bolts to secure the rails in place. 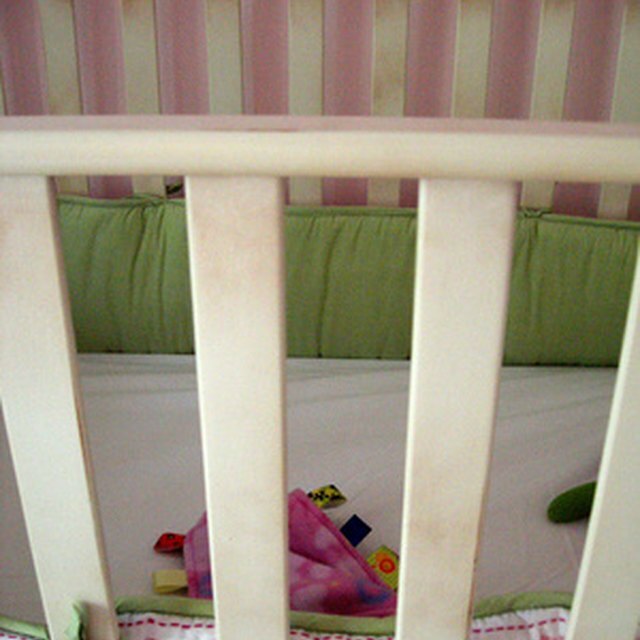 Position the box spring and mattress on the bed frame then add your child's bedding.